Valentine’s day falls this Thursday, in anticipation of the most romantic day of the year we have round up some brands contributions to the annual celebration of love. Restaurant chain TGI Fridays has created the ultimate table for daters this Valentine’s Day in a bid to revolutionise those nervous first romantic meetings. The “Together Table” is the world’s first electric-powered table that allows each person to move their side of the table closer (or further) away from their would-be partner at the touch of a button. Taking over 100 hours to build, the table was commissioned off the back of research which showed that almost half of British daters said not knowing what their dates thought of them at the end of the date one of their biggest dating frustrations. The “Together Table” seeks to put an end to agonising over such questions like “Are they into me?” with the help of a chart in the middle of the table indicating how the daters are feeling about one another dependent on their distance apart. The table has been installed in TGI Fridays’ restaurant in Leicester Square for Valentine’s Day and will remain there for a week to allow couples to give it a go themselves. The fried chicken chain is marketing a faux fur lovers rug ft. the head of Colonel Sanders. 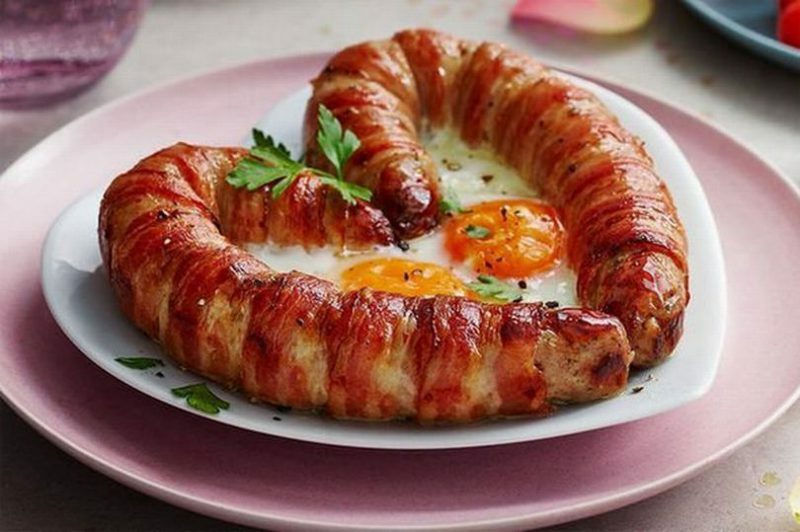 This Valentine’s Day M&S are selling a ‘Love Sausage’. The heart shaped sausage made up of two Cumberland sausages joined together is available in stores now. The £5 sausage is ‘lightly truffled’ and M&S suggest you serve it with two fried eggs in the middle. Poundland have released their own engagement rings. 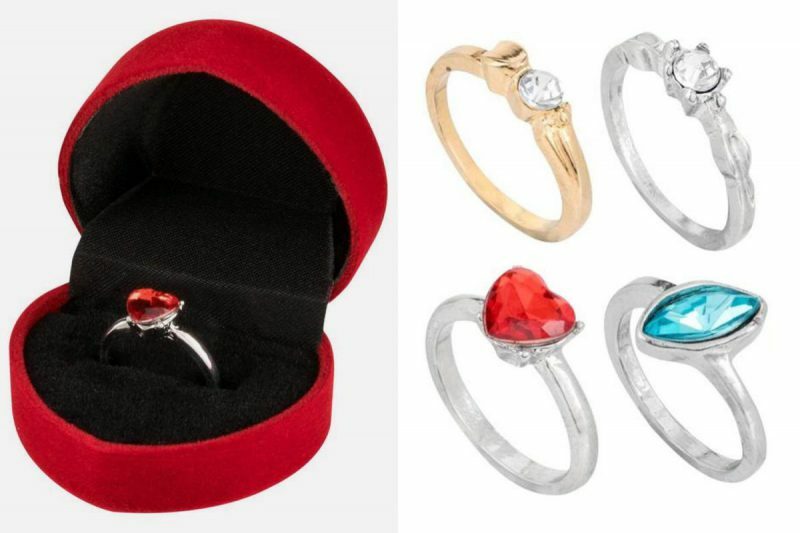 The High-street chain has designed the £1 rings to be ‘placeholders’, the Valentine’s Day gifts give people the opportunity to propose before they invest in a “real rock”. 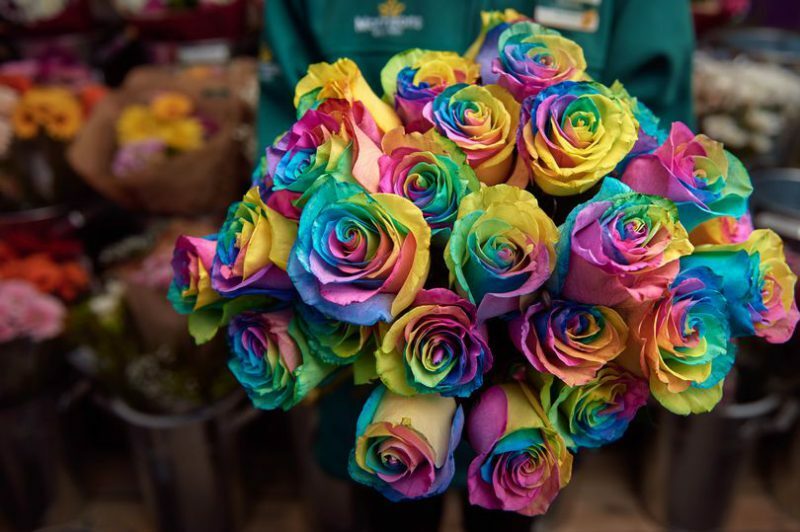 Ahead of Valentine’s Day this year Morrisons’ florists developed rainbow roses with the proceeds helping homeless LGBTQ+ youth. For every rose old 50p will be donated to the Alberty Kennedy Trust, a charity which provides safe homes and support to young people who identify as lesbian, gay, bi or trans. 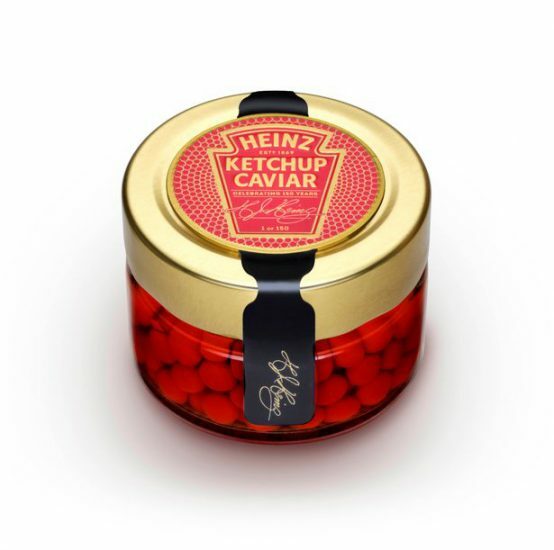 Heinz is launching ketchup caviar this Valentine’s Day to celebrate the brands 150th birthday. Set to elevate any meal into a delicious fine dining experience unfortunately they are in limited sock with only 150 jars available. 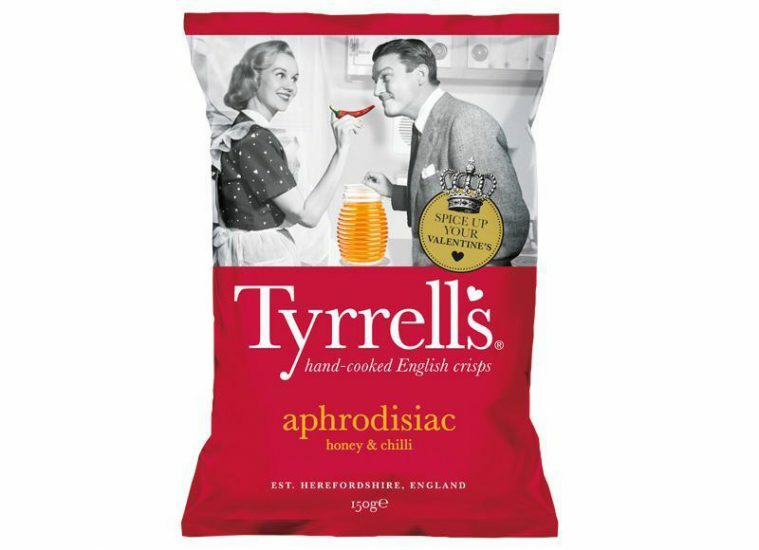 With ‘aphrodisiac’ qualities, Tyrrell’s ‘provocative’ pairing of honey and chilli claim to create a powerful effect to ‘get pulses racing’ on February 14th. These crisps claim to pack a punch. 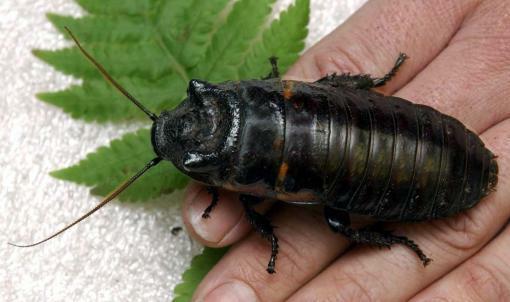 For £1.50 you can name a cockroach after your ex and take a certificate home to prove it. Though it may seem hostile and vengeful, the campaign run by Hemsley Conservation Centre in Kent will direct all proceeds to fund projects at the zoo. 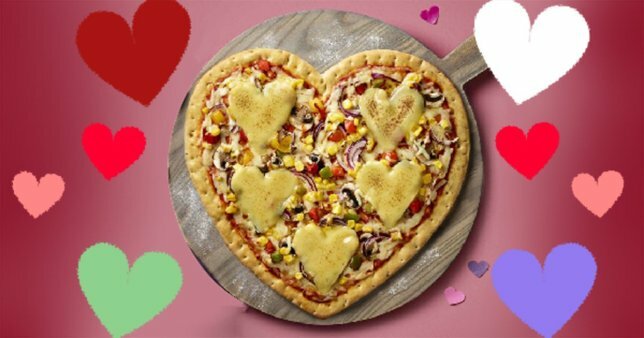 Asda’s £3 heart shaped pizzas are back again this Valentine’s Day. The romantic pizzas come with a range of toppings, including Mozzarella Meltdown, American Sizzler, Meat Feast, Very Veggie Supreme and Pepperoni Feast. Heart shaped Yorkshire puddings are on the menu this Valentine’s Day. 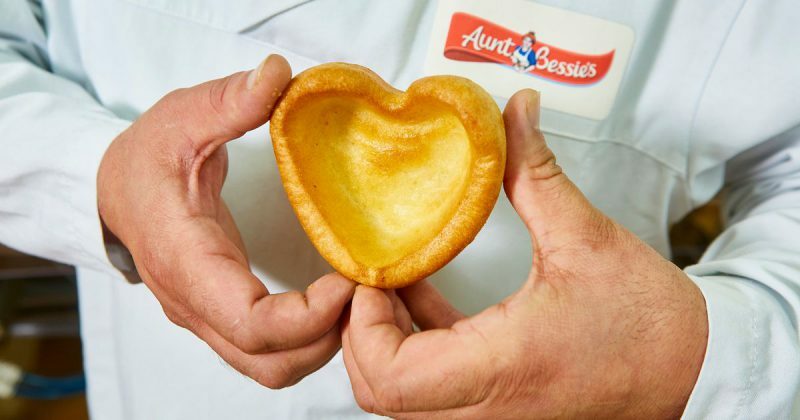 True to the original recipe, Aunt Bessie’s have launched brand new Yorkies in the shape of a heart. 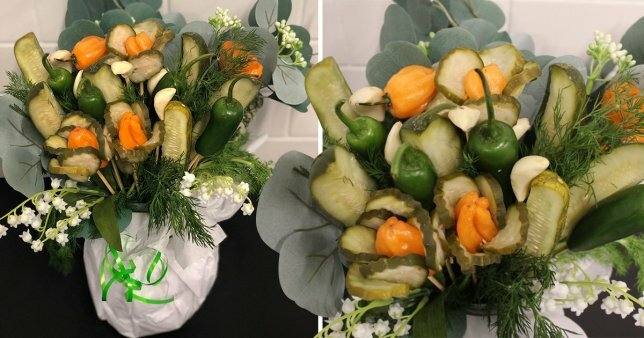 The brainchild of Boston-based pickle company Grillo’s Pickles, the ‘Pickle Bouquet’ is an unorthodox gift to be sure but could be the perfect gift for pickle fans. 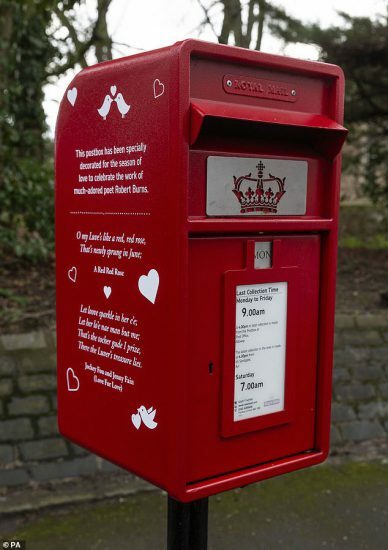 Royal Mail will celebrate Valentine’s Day by decorating some post-boxes with romantic quotes from iconic English authors. To celebrate the season of love confectionary specialists Candy Mechanics are launching a temporary pop-up at Selfridges. 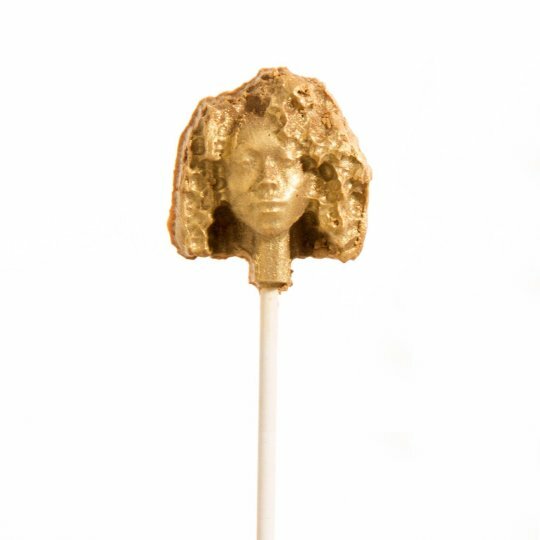 Pop by the Smartech flagship store and have your head 3D scanned, and carved into a miniature chocolate lollipop. The Lush Valentine’s collection is extra steamy this year. 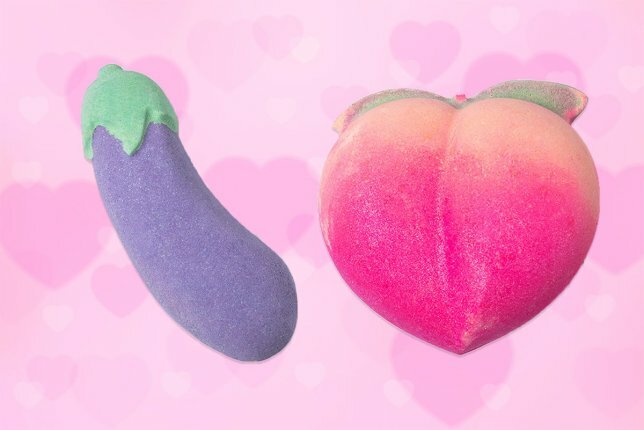 Whether you want to treat your partner, or just want to give yourself some self-love, there’s a whole range of emoji themed bath time treats to choose from this Valentine’s Day.